In the future, robots will be in every household — not just the affluent ones. In fact, a robot named "Husky" is already improving the lives of those in the rural village of Ayyampathy, in southern India. Last November, Dr. Amol Deshmukh, a computer scientists with the University of Glasgow, traveled to the Indian village to study how technology can help low-income villagers live in the rural countryside. After visiting Ayyampathy, Deshmukh sent "Husky" to help the community with the specific task of daily water-gathering. The task of collecting water is a back-breaking work. But because more than half of the Indian population is without tap water or plumbing, citizens are required to trek for hours across dangerous terrain, just so they can collect the natural resource. That's where Husky comes in. The remote-controlled social robot specializes in carrying large amounts of water across varied terrain. 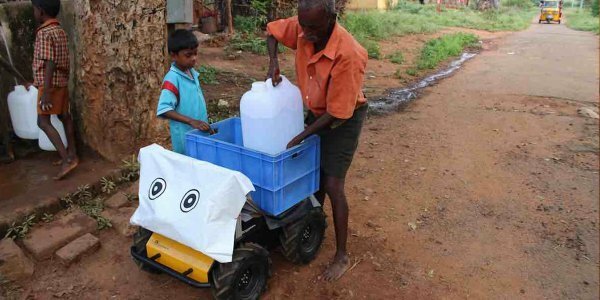 With the help of 11 village volunteers, the robot was able to carry three 20-liter jugs of water from the well to the village. After completing the task, Husky emitted a male-sounding synthetic voice to thank the villagers for their help. He also told them where to put the water then reminded them to wash their hands before their next meal. Husky's presence benefited the villager's lives. But that's not all the researchers were studying. The team were curious to see how citizens from remote areas would interact with such an odd, foreign object. 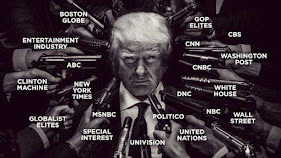 As GoodNewsNetwork reports, their findings were favorable. "Most of the research carried out to date on human-robot interactions are carried out in lab environments in urban settings, with people who have developed some conception of what robots are and how they work by seeing depictions of them in TV and film," said Deshmuk. "We wanted to see how people from considerably more remote rural populations would view robots, which have a lot of labour-saving potential. Robot helpers are also ideally-placed to help those population reach the UN's sustainable development goals of bridging the digital divide and opening up beneficial technology to people around the world, so it's vital to explore how they are likely to be perceived in the developing world." "After several days of using the Husky, we surveyed each of the participants about their perceptions of the robot and how helpful they found it. Every one of them said the robot made their lives easier, and they unanimously reported that they enjoyed working with the robot. Interestingly, they were also unanimous on the robot being 'alive', despite being aware that it was being controlled remotely." "We also asked if they thought the robot had a gender. More than a third of participants perceived it as 'female' although it communicated with a male-sounding voice and had no other gender-coded features, primarily because water-carrying is done mainly by women in their village," Deshmukh concluded. "It's clear that labour-saving devices like these bring real benefits to remote communities, and we're keen to do more work in the future with our partners in India to explore these issues in more depth."